OK, we’re late in calling, skipping a month of contact. There was no site update in October, apart from a browning of the headers and relevant buttons to reflect this season of mists and mellow fruitfulness (again, apologies to our Antipodean readers for our northern-hemispherecentricity). There are a couple of reasons. B eginning mid-October, we had a real studio scramble to mix BETTY’s holiday CD Snowbiz in good time so that you can all buy it and get seasonally depressed with son-to-be-classics like Holiday Office Party Blues and Happy Holidays From Me To Me. As ever, look for sneaky guest appearances and an honestly confused take on what we might be celebrating towards the end of the year. As we write, the record is done and heading for the factory. A later-November newsletter will announce the release and availability, as well as new site pages all about it. There will be a special offer to Stereo Society subscribers, so sign up for our free monthly Newsletter now…..
Secondly, those classic CBGB’s stalwarts the Shirts have been taking their new album to where it is almost ready for mixing, with much recording action at the Stereo Society studio over the last two months. Mixing will start in late November. Sounding good, thanks not least to the two new inductees on vocals and keyboards. Getting ambitious. As Artie Lamonica, senior citizen of the Shirts, put it in a long distance E mail, ‘you may find the kitchen sink missing when you get back’. The story is more about Brooklyn than ever. 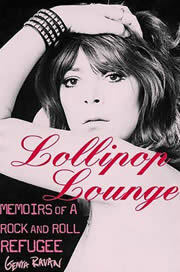 Genya Ravan’s autobiography is finally available, Memoirs Of A Rock And Roll Refugee. Nobody leaves there unscathed, let alone Genya. Did she really do that??? And it’s as noisy as the real lady all the way through. Genya guests on BETTY’s forthcoming CD, playing an appropriate harmonica on Holiday Office Party Blues. The lady does sing the blues. 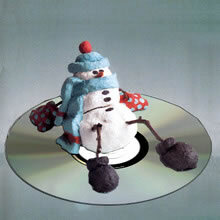 And we haven’t forgotten the other CDs we’ve talked about incessantly. Once we have celebrated the holidays with BETTY and Snowbiz, we’ll figure out when we can offer them. Lene Lovich, Ives and Thorne. A motley crew, just how we like it.